Like the blues? Love locally crafted brews? Then you will want to be on Historic Front Street in Downtown Yakima Saturday, June 14th as the City of Yakima debuts the Yakima Blues and Local Brews Bash from 2:00 p.m. to 9:00 p.m.
Of course there will be local restaurants serving up great grub, local breweries will be serving including Bale Breaker, Iron Horse, Yakima Craft, Icicle Brewing and Snipes Mountain. Local wineries pouring are Naches Heights Vineyards, AntoLin Cellars and Gilbert Cellars. So plan to come downtown this weekend for a blues and brews fun filled time! 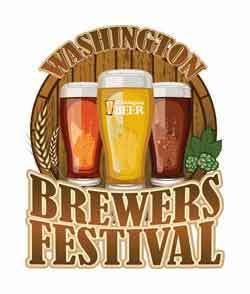 This Father’s Day weekend, make plans to go to the ‘big daddy brewfest’, the Washington Brewers Festival in Redmond WA. It’s billed as the single largest gathering of Washington breweries and is organized by the Washington Beer Commission. Some 88 breweries will be serving around 330 different beers during the event. In other words, craft beer nirvana! Activities include musical entertainment Friday night from Hell’s Belles, a group of hard-rockin’ women, a kid’s play area, the Washington Beer Awards winners announced good food and more. Local breweries include Bale Breaker Brewing Company serving their dry-hopped blonde ale Raging Ditch Dry-Hopped, plus Field 41 Pale Ale and Topcutter IPA; Snipes Mountain has their Buckaroo SIPA and Dos Borrachos Michoacán on tap plus Yakima Craft will be serving up their 1982, IPA and Wizard Experimental IPA. Check this list of all the breweries pouring during the event. For all the details read this Beer Blog post. Have a hoppy weekend from the folks here at the Spirits and Hops Trail!